Rate this Article Annoying, frustrating and discouraging, game lag is one of the main factors that can ruin your MMOFPS game play. One of the biggest annoyances that on-line FPS players have to deal with is the word Lag. The word Lag however has a broad meaning but in it’s simplest term, lag is a noticeable if not blaring delay between the action of a player and the reaction of the game server resulting in a performance issue within the game. 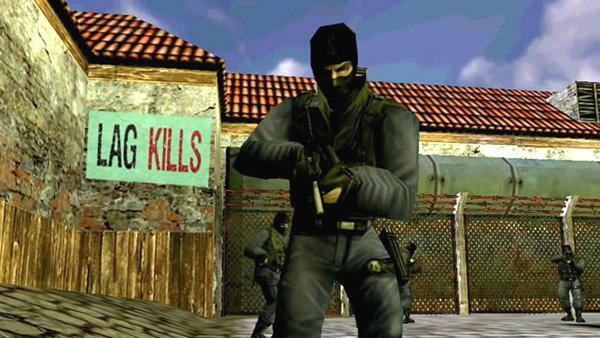 Let’s take for example that you are playing CounterStrike with your friends on-line. It so happens that you are located somewhere in Asia and the server you are connecting to is located in North America. Your friends come from different places all over the world and some of them are from the US. You begin your match and the deadly dance between Counter and Terrorist goes under way. It so happens you’re already a vet CS player as you have been playing CS since 1.5. So, you run through cs_assault along with your team to try to free the hostages on the second floor of the warehouse. You head for the back door. Suddenly, it swings open and out comes the Lite with his dual D’s. You fire at him dead on, 1-2-3 he faces you and fires the double D’s. Wham! You go down. You shout, WTF!!! It so happens you’re in Asia and the Lite resides in the same State as the server. He’s Ping is 40 and yours is 250. In short, even if you fired first his bullets will hit you first because of lag. It’s just a matter of split-second reaction that decides who goes down in MMOFPS games and if that split second fails to register, congrats, it just ruined your game. Of course lag isn’t confined to just instances like this. There are other kinds of lag or reasons why you have that infuriating delayed reaction within the game. The one described above is Server lag or Ping Lag. Ping, is the time it takes for data to make a round trip from your PC to the server then back again in milliseconds which is a thousand of a second. The term Ping is usually used by gamers interchangeably with Latency. Usually, they would ask you, what’s your Ping meaning, what’s your Latency? The higher the Latency or Ping delay, the higher the frustration rating for the game. A high Ping delay means it’s taking so long for the data to travel the internet back and forth. The first cause is distance (like the example above), the second can be the speed of your internet service. Some countries have very slow to almost crawling internet bandwidth which is really a hindrance to on-line gaming. Network problems can also cause your Latency to increase. This may be caused by problems at your service provider or your own connection to the internet. A common problem is using wireless internet. If you’re connected to a router via Wi-Fi, chances are, so are others. You’re all competing for the same connection and data is transmitted in turns. Your turn, her turn, his turn then back to you. Better use a direct Ethernet connection and disable the Wi-Fi so you can get all the bandwidth you need. Good if you’re just surfing or doing research but you’re not, you’re playing CounterStrike. Here’s another example to ruin your day. You’re up against a sniper. He’s up there by the hostages on the window. He fires and you get nicked. You’re health has been halved so you dash towards the crate then the doorway going upstairs. He fires, you hit the doorway in time but then to your surprise, you go down. You holler out loud, aimbot !!! You heard the bullet and already within the doorway but it so happens again, he’s ping is 40 and yours is 270. Ping Lag is usually the root cause of many a quarrel between players and even community members when everybody in the game starts pointing fingers screaming cheater at one another. Ping is inevitable in on-line game play because let’s face it, you’re not sitting next to the server unless of course you’re running it. If the guy isn’t using aimbot then maybe he’s really good or his Ping, is a great deal lower than yours. The main reason why official FPS Tourneys use LAN rather than On-line, avoid cheats, avoid ping. Another form of Lag is the lag that comes from your computer and not the internet or the server. Fortunately, you the player can take steps to decrease this form of lag. This kind of lag is also known as Graphics Lag or Low Frames Per Second Lag. FPS not only means First Person Shooter but also Frames Per Second which is the frame-rate or the number of frames that can appear on your screen in 1 second. If you’re FPS is 60, then you have 60 frames or still images that switch through your screen per second. Just like a frame animation drawn on a notebook with a character in different poses of movement. Flip the pages fast enough and the character moves, well…you get the picture. So, when your FPS dips to 20 below, your surrounding sort of turn sluggish and looks like a slideshow. Practically no one would want to or even try to fight this way. Low FPS can be caused by several factors that hinder the performance of your PC. Of course if you’re trying to play one of the latest FPS games with an old rig, chances are you’re game play is really going to crawl that is if it even runs at all. Usually low FPS can be alleviated by simply upgrading a few components so your computer can keep up with the game so to speak. You may need a newer graphics card with larger GPU RAM. You might need more RAM. Some games run better when your PC has more than 2GB of RAM although that may be the minimum requirement. Check your Hard Disk as it may be slow. New drives have higher RPM’s to catch up with the required loading and data transfer speeds used by fast paced games. Finally, check your graphic settings, some settings affect the performance of your game. In case your PC doesn’t have the required max RAM, a higher GPU or your CPU has kind of seen it’s days, adjusting your graphics settings down a notch or two may do the trick. Settings like anti-aliasing, textures, ambient occlusion and resolution among others may need proper adjustments for optimal performance. Check your OS, Windows may need to be optimized and some tasks running in the background that are not really needed are not really needed. Other causes of Lag that require the adjustment and optimization of your PC include Stutter Lag, also known a freezing where your game literally freezes at which case your hard disk and-or your video card is having a hard time trying to keep up with the data. Control Lag where your game controllers or the mouse have a hard time responding as they already have Arthritis or an outdated control driver. Lag can be caused by a lot of things and it will definitely ruin your game but there are always solutions that may not completely eliminate but at least lessen the effects of lag. If it’s your PC that lags, you can take the steps to fix it but if it’s the internet that lags, maybe finding a game server located much closer may really be the only way to CS GO.